Lynch's oeuvre encompasses work in both cinema and television. His films include The Elephant Man, Blue Velvet, Wild at Heart, The Straight Story, and perhaps his most critically successful film, 2001's Mulholland Drive; whilst his television debut, Twin Peaks, earned five Emmy Award nominations for its first season. 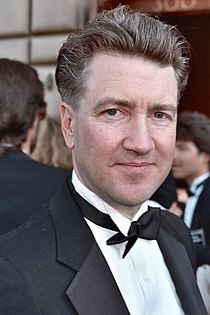 In the course of his career, Lynch has received multiple awards and nominations. Amongst these are three Academy Award nominations for Best Director, and a nomination for best screenplay. Lynch has twice won France's César Award for Best Foreign Film, as well as the Palme d'Or at the Cannes Film Festival and a Golden Lion award for lifetime achievement at the Venice Film Festival. The French government has awarded him the Legion of Honour, the country's top civilian distinction, honoring him first as a Chevalier in 2002 and then as an Officier in 2009; Lynch has also been awarded the key to the city of Bydgoszcz, Poland. In 2017, Lynch was awarded The Edward MacDowell Medal by The MacDowell Colony for outstanding contributions to American culture. The Elephant Man is a 1980 American drama film based on the true story of Joseph Merrick (called John Merrick in the film), a severely deformed man in 19th century London. The film was directed by Lynch, who wrote the screenplay with Eric Bergren and Christopher De Vore. It stars John Hurt, Anthony Hopkins, Anne Bancroft, John Gielgud, Wendy Hiller, Michael Elphick, Hannah Gordon, and Freddie Jones. Blue Velvet is a 1986 American mystery film written and directed by Lynch. The movie exhibits elements of both film noir and surrealism. The film features Kyle MacLachlan, Isabella Rossellini, Dennis Hopper, and Laura Dern. Wild at Heart is a 1990 American film written and directed by Lynch, and based on Barry Gifford's 1989 novel Wild at Heart. The film star Nicolas Cage, Laura Dern and Diane Ladd; and tells the story of Sailor Ripley and Lula Pace Fortune, a young couple from Cape Fear, North Carolina who go on the run from her domineering mother. Twin Peaks: Fire Walk with Me is a 1992 American psychological horror film directed by Lynch, who co-wrote the screenplay with Robert Engels. The film stars Sheryl Lee, Moira Kelly, David Bowie, Chris Isaak, Harry Dean Stanton, Ray Wise and Kyle MacLachlan; and can be viewed as both prologue and epilogue to the television series Twin Peaks, created by Lynch and Mark Frost. The Straight Story is a 1999 film directed by Lynch. The film was edited and produced by Mary Sweeney, who also co-wrote the script with John E. Roach. The film stars Richard Farnsworth, Sissy Spacek and Harry Dean Stanton. The Straight Story is based on the true story of Alvin Straight's journey across Iowa and Wisconsin on a lawnmower. Mulholland Drive is a 2001 American neo-noir psychological thriller written and directed by Lynch, starring Justin Theroux, Naomi Watts, and Laura Harring. The film tells the story of an aspiring actress named Betty Elms, newly arrived in Los Angeles, California, who meets and befriends an amnesiac hiding in her aunt's apartment. The story includes several other seemingly unrelated vignettes that eventually connect in various ways, as well as some surreal scenes and images that relate to the cryptic narrative. Inland Empire is a 2006 mystery film. The film stars Laura Dern, Justin Theroux, Harry Dean Stanton, Grace Zabriskie, Jeremy Irons and Diane Ladd. While remaking a Polish film that was abandoned after a mysterious tragedy, an actress finds herself falling for a fellow cast member and realises that her life is starting to echo the plot of their production. Twin Peaks is an American television serial drama created by Lynch and Mark Frost. The series follows the investigation headed by FBI Special Agent Dale Cooper (Kyle MacLachlan), of the murder of a popular teenager and homecoming queen, Laura Palmer (Sheryl Lee). Twin Peaks features a large ensemble cast, including Michael Ontkean, Mädchen Amick, Dana Ashbrook, Richard Beymer, Lara Flynn Boyle, Joan Chen, Eric Da Re, Sherilyn Fenn, Warren Frost, Harry Goaz, Michael Horse, Piper Laurie, Peggy Lipton, James Marshall, Everett McGill, Jack Nance, Kimmy Robertson, Russ Tamblyn, Kenneth Welsh and Ray Wise. Lynch has also been honored by the French government with induction into the Legion of Honour, first being honored as a Chevalier (knight) in 2002, and again as an Officier (officer) in 2009. In 2012, Lynch was presented with the key to the city of Bydgoszcz, Poland, by the city's mayor Rafał Bruski. The presentation was part of that year's Plus Camerimage festival. ^ Lynch and Rodley, pp. 109 & 192. ^ Lynch and Rodley, p. 245. ^ "MacDowell Colony to honor David Lynch - The Boston Globe". BostonGlobe.com. Retrieved 2017-12-27. ^ "53rd Academy Awards Winners | Oscar Legacy". Academy of Motion Picture Arts and Sciences. Retrieved 17 October 2011. ^ "Awards Database – The BAFTA site". British Academy of Film and Television Arts. Retrieved 13 February 2012. ^ a b "Académie des César". Académie des Arts et Techniques du Cinéma. Retrieved 16 October 2011. Site does not support direct linking to search results. Search "David Lynch" for results. ^ "Awards / History / 1980 – 33rd Annual DGA Awards". Directors Guild of America Award. Retrieved 17 October 2011. ^ a b c "HFPA – Awards Search". Hollywood Foreign Press Association. Archived from the original on 4 October 2012. Retrieved 17 October 2011. ^ "59th Academy Awards Winners | Oscar Legacy". Academy of Motion Picture Arts and Sciences. Retrieved 17 October 2011. ^ a b "BSFC past winners". Boston Society of Film Critics. Retrieved 17 October 2011. ^ "Spirit Awards 26 years of nominees and winners" (PDF). Independent Spirit Awards. p. 40. Archived from the original (PDF) on 16 September 2011. Retrieved 17 October 2011. ^ "LAFCA". Los Angeles Film Critics Association Awards. Retrieved 17 October 2011. ^ a b "Past Awards << National Society of Film Critics". National Society of Film Critics. Archived from the original on 23 March 2015. Retrieved 17 October 2011. ^ a b "Festival de Cannes 1990". Cannes Film Festival. Retrieved 17 October 2011. ^ Kempley, Rita (August 29, 1992). "'Twin PeaksL Fire Walk With Me' (R)". The Washington Post. Retrieved March 3, 2012. ^ "Festival de Cannes 1992". Cannes Film Festival. Retrieved 17 October 2011. ^ a b "Amerikanske film" (in Danish). Danish Union of Film Critics. Retrieved 16 October 2011. ^ "Festival de Cannes – From 16 to 27 may 2012". Cannes Film Festival. Retrieved 17 October 2011. ^ "European Film Awards – Straight Story". European Film Academy. Retrieved 17 October 2011. ^ "Spirit Awards: 26 Years of Nominees and Winners" (PDF). Independent Spirit Awards. p. 24. Archived from the original (PDF) on 16 September 2011. Retrieved 17 October 2011. ^ Ebert, Roger (October 12, 2001). "Mulholland Drive :: Reviews". RogerEbert.com, The Chicago Sun Times. Retrieved March 5, 2012. ^ "74th Academy Awards Winners | Oscar Legacy". Academy of Motion Picture Arts and Sciences. Retrieved 17 October 2011. ^ "Announces Nominations for "AFI Awards 2001"" (PDF). American Film Institute. p. 2. Retrieved 16 October 2011. ^ "Chicago Film Critics Awards – 1998-07". Chicago Film Critics Association. Retrieved 17 October 2011. ^ "torontofilmcritics.com >> TFCA Awards 2001". Toronto Film Critics Association. 21 December 2001. Archived from the original on 13 April 2010. Retrieved 17 October 2011. ^ Leigh, Danny (March 9, 2007). "What is David Lynch's Inland Empire about? | Film". The Guardian. Retrieved March 6, 2012. ^ "Future Film Festival - Premio Future Film Festival Digital Award – 65. Mostra Internazionale d'Arte Cinematografica" (in Italian). Future Film Festival, Venice Film Festival. Archived from the original on 5 April 2012. Retrieved 17 October 2011. ^ Anthony, Andrew (March 21, 2010). "Twin Peaks: How Laura Palmer's death marked the rebirth of TV drama | Feature | Television & Radio". The Guardian. Retrieved March 6, 2012. ^ "Primetime Emmy® Award Database | Emmys.com". Academy of Television Arts & Sciences. Retrieved 17 October 2011. ^ Foutch, Haleigh (January 10, 2018). "'Call Me by Your Name', 'The Shape of Water' Lead Dorian Award Nominations". Collider.com. ^ Pedersen, Erik (January 22, 2018). "Motion Picture Sound Editors Reveal Golden Reel Nominations". Deadline.com. Retrieved January 23, 2018. ^ "AFI Silver Theatre and Cultural Center". American Film Institute. 2004. Retrieved 16 October 2011. ^ a b "Plus Camerimage – Plus Camerimage Awards". Camerimage. Archived from the original on 25 May 2012. Retrieved 17 October 2011. ^ "Plus Camerimage – Plus Camerimage Awards". Camerimage. Archived from the original on 25 May 2012. Retrieved 17 October 2011. ^ a b Rosser, Michael (November 25, 2012). "David Lynch and Keanu Reeves open Plus Camerimage | News". Screen International. Top Right Group. Retrieved November 26, 2012. ^ "Laura Dern | Film Independent". Independent Spirit Awards. Archived from the original on 12 December 2011. Retrieved 17 October 2011. ^ "Awards and Winners – Stockholms filmfestival". Stockholm Film Festival. Archived from the original on 10 October 2010. Retrieved 17 October 2011. ^ "La Biennale di Venezia – The awards of the Venice Film Festival". Venice Film Festival. Retrieved 17 October 2011. ^ a b Associated Press (11 February 2009). "The Police Knighted In France – CBS News". CBS News. Retrieved 16 October 2011. Atkinson, Michael (1997). Blue Velvet. British Film Institute. ISBN 0-85170-559-6. Devlin, William J; Biderman, Shari (2011). The Philosophy of David Lynch. University Press of Kentucky. ISBN 0-8131-2991-5. Rubin, Martin (1999). Thrillers. Cambridge University Press. ISBN 0-521-58839-1. Rodley, Chris; Lynch, David (2005). Lynch on Lynch (2nd ed.). Macmillan. ISBN 0-571-22018-5. Todd, Anthony (2012). Authorship and the Films of David Lynch: Aesthetic Receptions in Contemporary Hollywood. I.B.Tauris. ISBN 1-84885-580-X. This page was last edited on 18 September 2018, at 20:25 (UTC).